Mantels have a history of being an art and craft representative in homes for years. It has been a legacy of French art also. Fireplaces with mantels are warm and the most comfortable places in the house. From centuries families gather around the hearth for discussions, parties and as well as entertainment. Mantels are very common in American and European homes. Therefore families pay special attention to the selection of mantels. 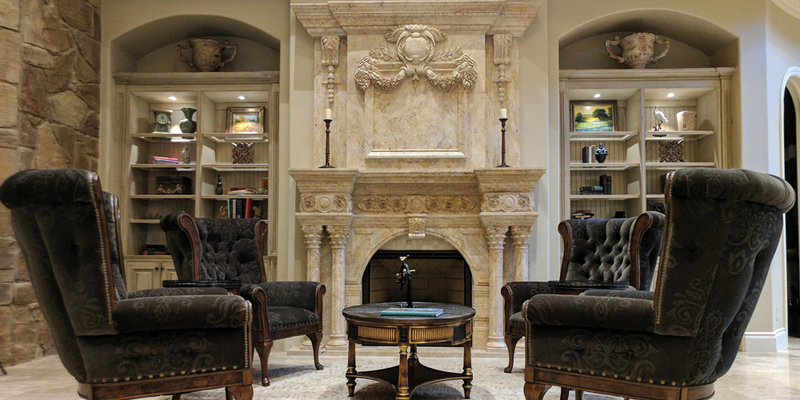 Understanding the expectations of our customers, Dallas’ World of Decor offers amazing marble mantels from its quality home furnishing deals. We can provide our customers with traditional, French and modern custom designs. The captivating designs from our collection, custom made just for you will be the ideal installment to your hearth ceasing cold and spreading temperateness. Our uniquely designed mantels are part of our affordable home furnishing collection. So, now you can pick your comfort and warmth along with your favorite designs in mantels and customize it without spending extra dollars. So if you love it, pick it right now because it’s within your range. Shop at the World of Décor in Dallas and avail best home furnishing deals for mantels.